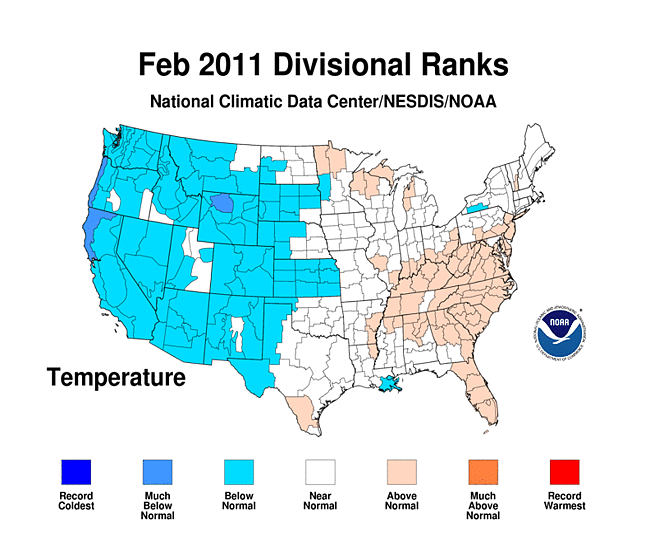 Commerce's National Oceanic and Atmospheric Administration (NOAA) issues its monthly state of the climate report for June, 2012. 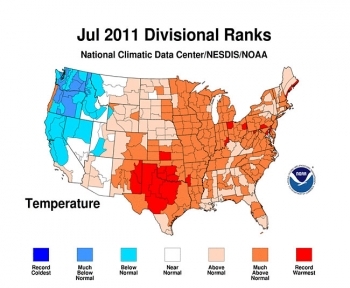 The average temperature for the contiguous U.S. during June was 71.2°F, which is 2.0°F above the 20th century average. 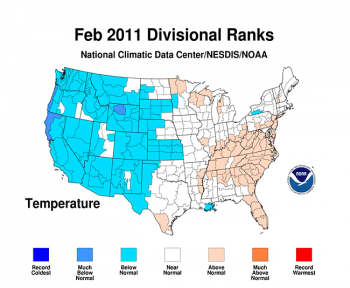 Scorching temperatures during the second half of the month led to at least 170 all-time high temperature records broken or tied. The June temperatures contributed to a record-warm first half of the year and the warmest 12-month period the nation has experienced since recordkeeping began in 1895. The combined global land and ocean surface temperature made this July the second-warmest on record, behind 1998, and the warmest averaged January–July on record. The global average land surface temperature for July and January–July was warmest on record. 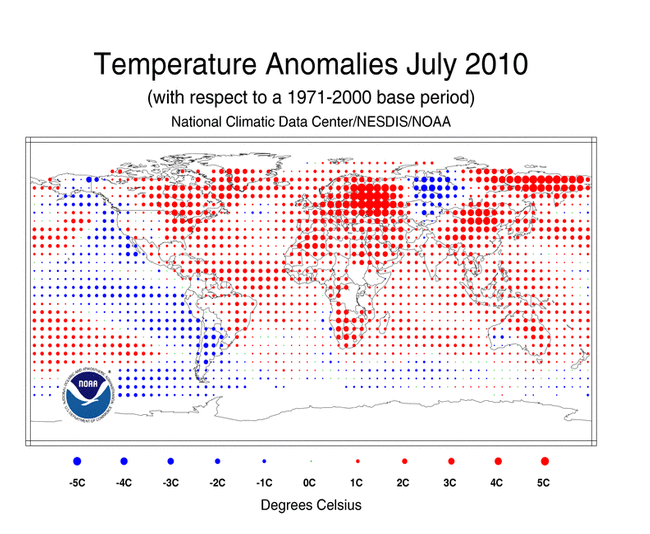 The global ocean surface temperature for July was the fifth-warmest, and for January–July 2010 was the second-warmest on record, behind 1998.